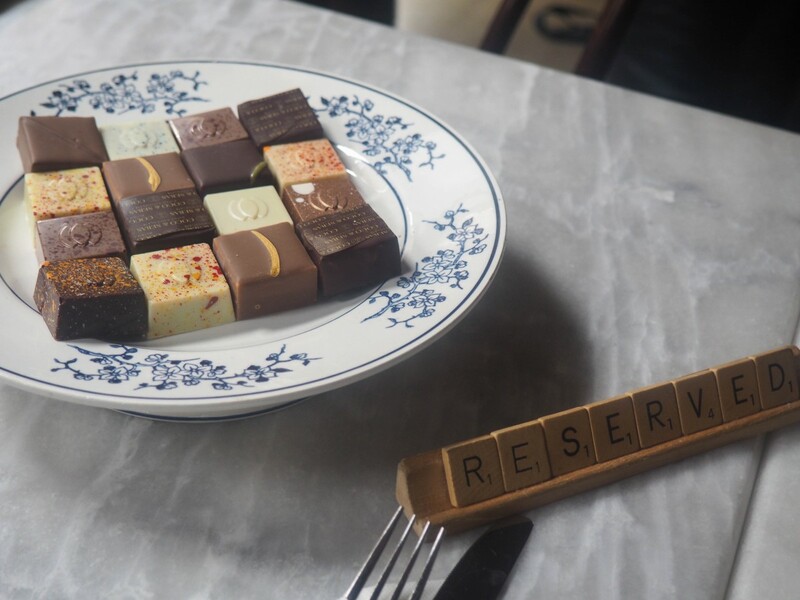 London is full of incredible restaurants, from exquisite to quirky, it is guaranteed you will find something to fit every taste when eating in the city. Unfortunately this can also come with quite a cost which is why more often than not DJ and myself find out selves eating at one of London’s many street food trucks , but seeing as last week it was our eighth year anniversary we thought we would treat ourselves by visiting one of London’s quirkier restaurants, Inamo and by booking with Booktable’s star deals it made the evening much more affordable. 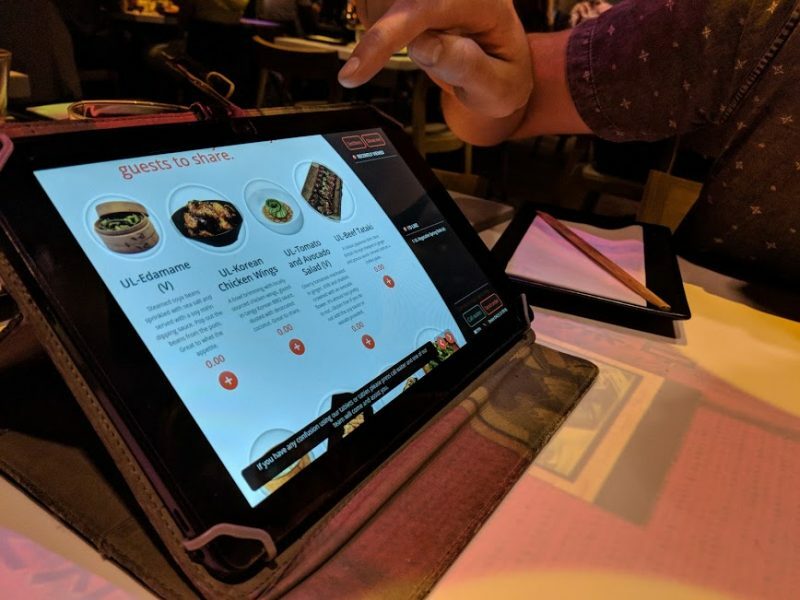 Inamo is a pan-Asian restaurant chain located throughout London, over the years they have won various awards including ‘Best Sushi in London’ but what really makes Inamo stand out is their signature interactive ordering as well as table entertainment. Interactive projections on every dining table surface enable you to control your experience at Inamo with options to set the mood, discover the local neighbourhood, and entertain you with retro games, live chef-cam feed, and even graffiti your table top. 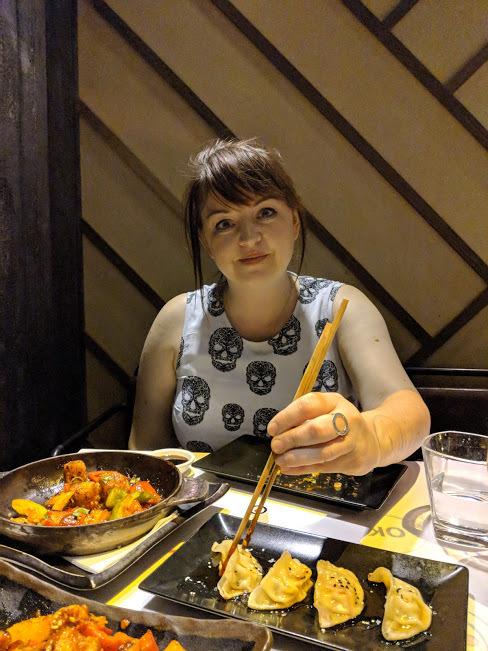 So as previously mentioned, the deal includes unlimited Asian tapas and house beer/wine, this lasts for one hour and half from time of seating and was easily enough time to try all the dishes we wanted to. 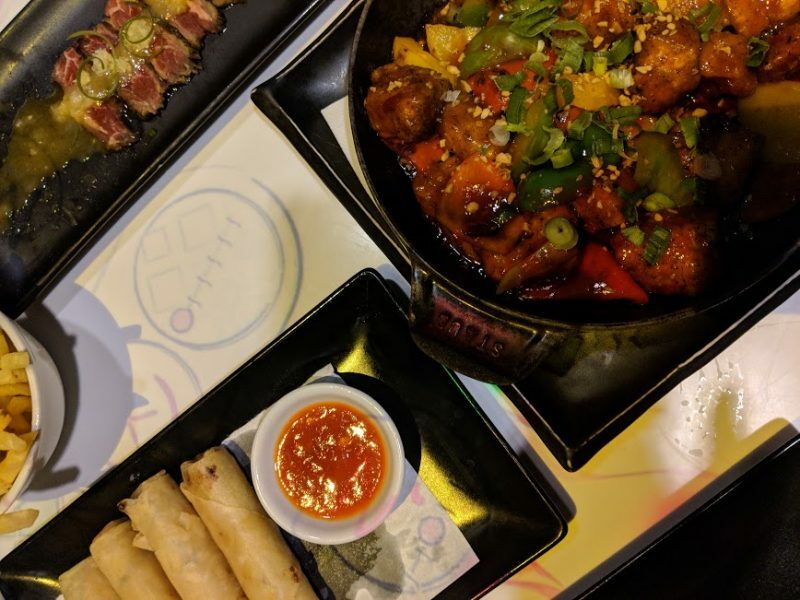 While you do not get access to the full menu on this deal, you do get a large selection of both meat and vegetarian dishes. 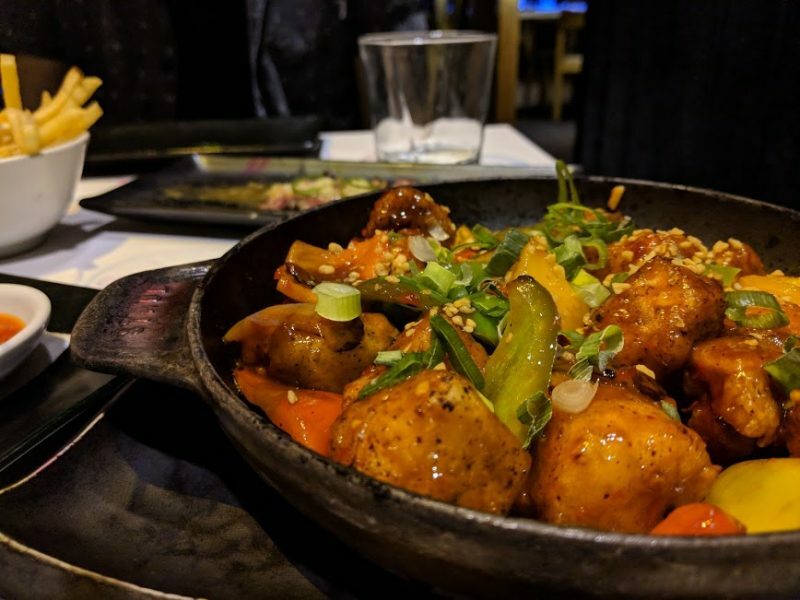 My personal favourite was the Sizzling Chilli Tofu – Crispy tofu with mixed bell peppers and onion, glazed in Korean BBQ sauce, with crushed chilli and served with a sizzle and other recommendations include the Vegetable Gyoza, and Red Dragon Roll. 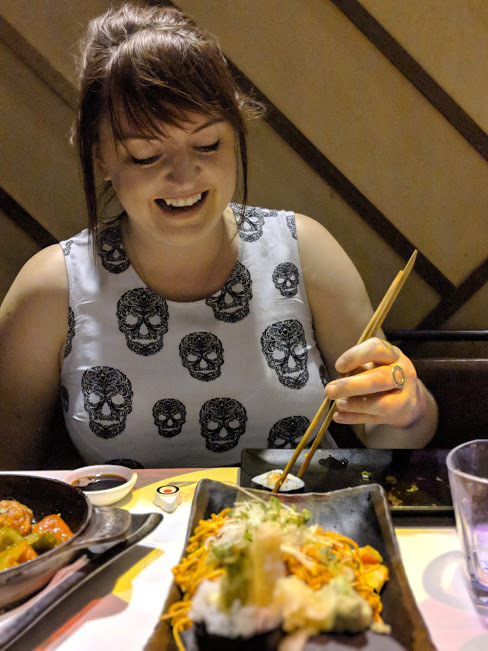 Recommendations for meat eaters would be Korean BBQ ribs and Spicy Tuna Maki. Out of all the dishes we tried there was one I was disappointed by, the Wasabi fries, simply because they lacked flavour and could have easily passed as normal French fries. Other than that I found that I was impressed by the large selection and variation available on the special tapas menu for this deal. I would by no means say the food was the best Asian food I have eaten in London, for a more authentic taste I would head to China Town or to New Malden in the South-west of London, but it was to a high standard and alongside the immersive and interactive features integrated into the table it made for a fun and different meal out. 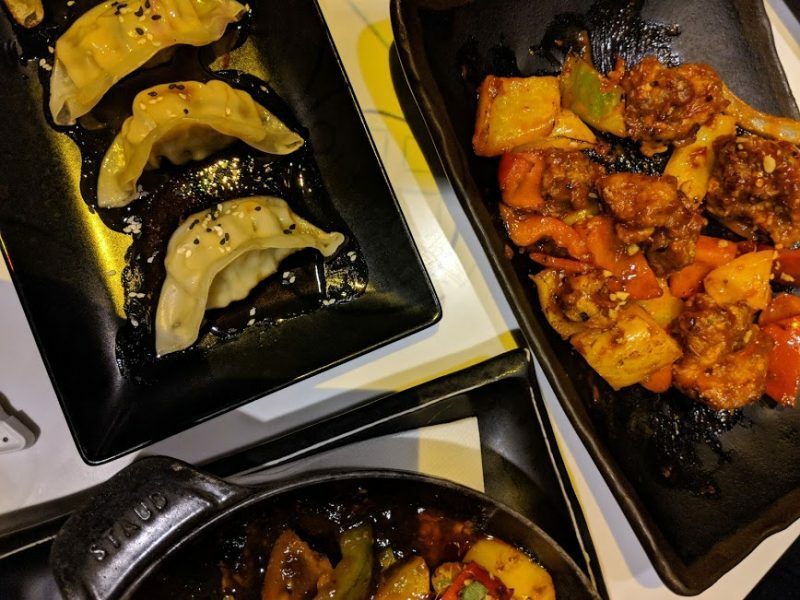 Also, with the normal dish prices being between £8 – £12 each you will easily be getting a lot for your money when purchasing the unlimited deal. We didn’t stay in Inamo for dessert, partly because we were incredibly full and also because I have had my eye independent dessert store Milk Train which is located just down the road. 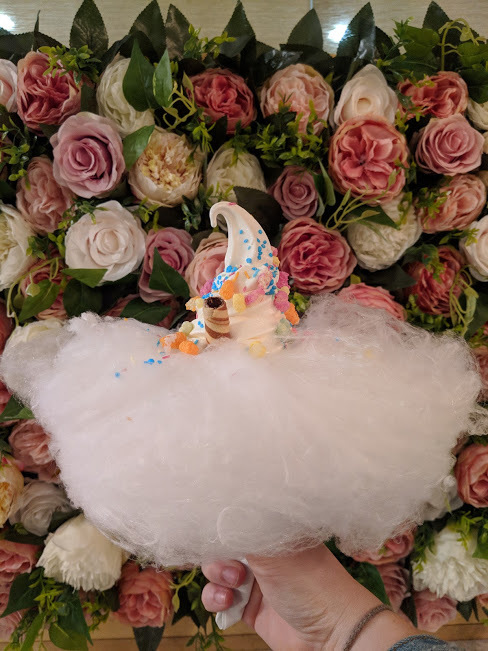 So of course I ended the evening with a Unicorn cone. 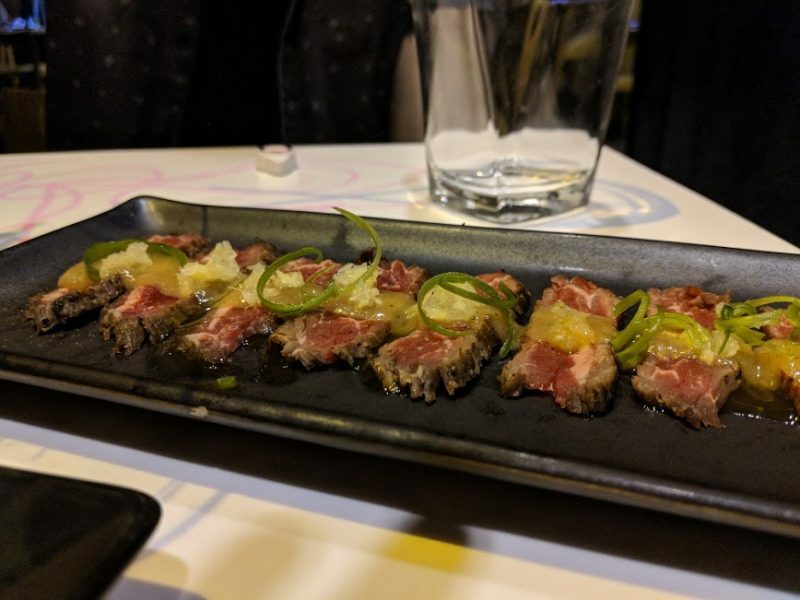 If you are looking for somewhere a bit different for your next date night, and want to head to one of London’s more quirkier restaurants, Inamo should definitely be towards the top of your list and if you are looking to save some money be sure to check out the Bookatable top star deals before booking. 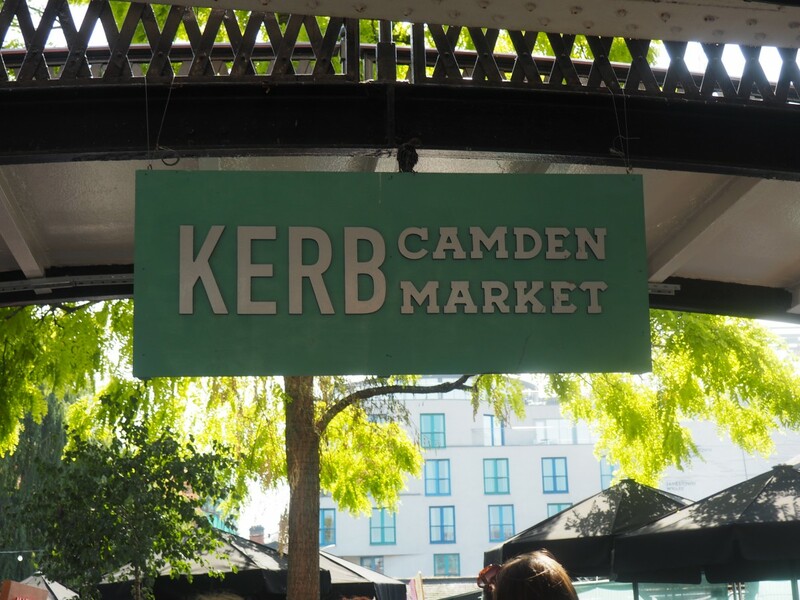 Looking to make the most of your time in London? You may want to look at some of the more unique things you can do in London. 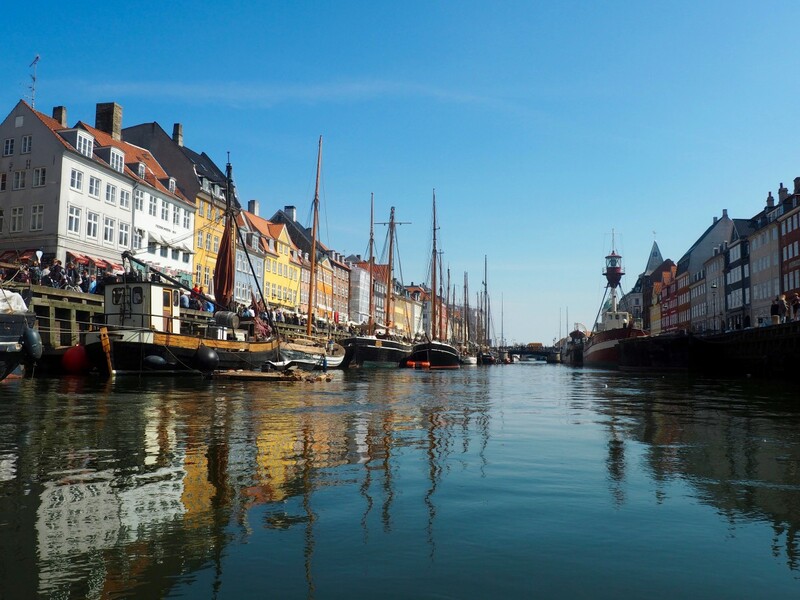 This post is in collaboration with Bookatable.